DeWaal Wines is situated in the rolling Polkadraai Hills to the west of the town of Stellenbosch in its eponymous wine appellation. The family have farmed this land for generations and have become part of Pinotage history in South Africa. 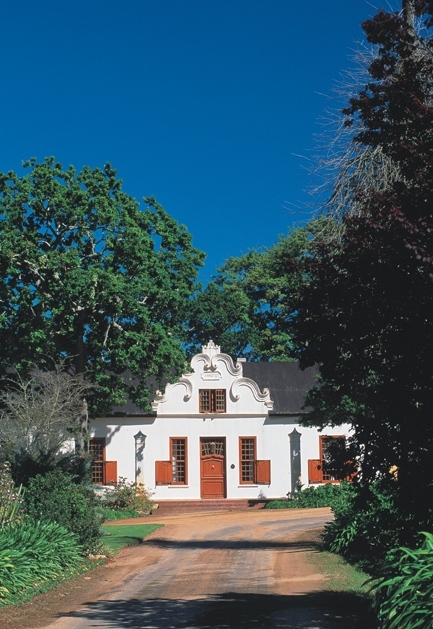 CT de Waal, who was born in the Uiterwyk Manor House, went on to become a leading South African oenologist, made the first barrel of Pinotage in 1941 when sufficient grapes had been harvested to make a single barrel. The famed Top of the Hill Pinotage vineyard on the Estate is the oldest in the world and regularly still provides a small crop each year to make their flagship Pinotage. 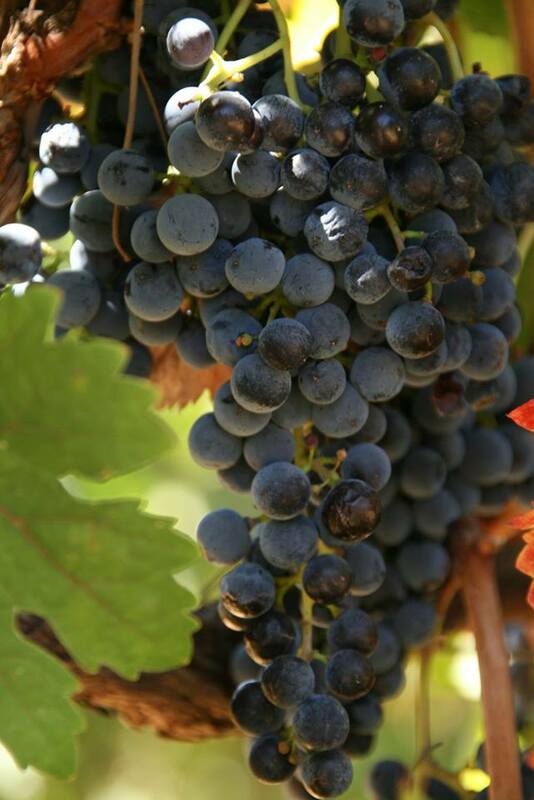 Other grape varieties also grow on the estate and in their youth the vines produce a range they call Young Vines. This is their lifestyle range, made in a more delicate style which packs an exciting fruit punch. Though called Young Vines, some of the vineyards have been producing quality grapes for a number of years. The DeWaal Young Vines Merlot 2014 is a perfect example as the vineyards, planted on gravelly loamy north facing slopes, are 15 years old. They produce an even handed 11 tons per hectare. Once fermented dry, the wine spends 3 months in French oak barrels before being prepared for bottling. One of the monthly highlights in the summer is the Top of the Hill Fun walk, the next one takes place on 18th March. 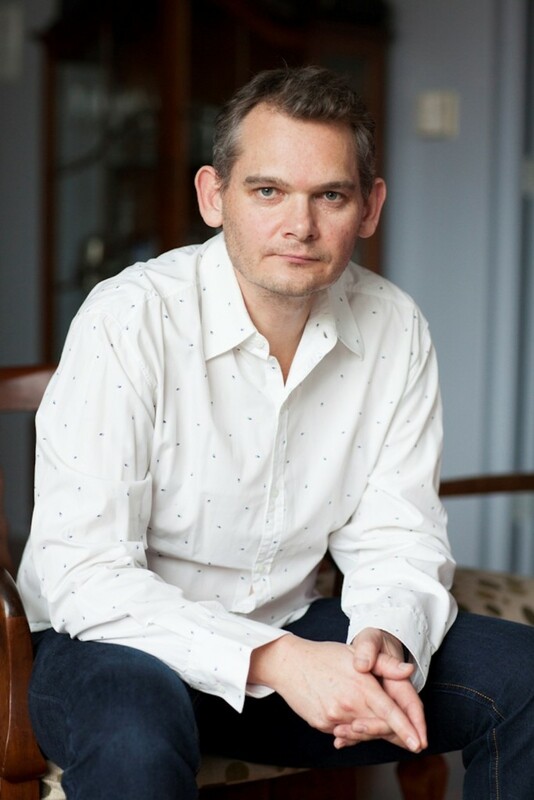 Owner Pieter de Waal invites you to meet him at the DeWaal Wines Tasting Venue at 09h45. The walk takes you through the vineyards to the shade of a sentinel Old Wild Fig Tree up at the Top of the Hill Vineyard, planted by Pieter’s father 67 years ago. 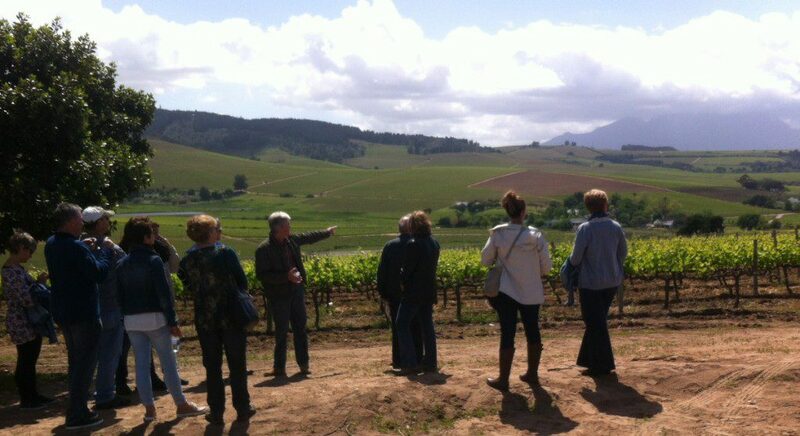 Pieter will offer a taste of the current vintage of the Top of the Hill Pinotage, the wine described in an Italian publication by Francesca Negri, as ‘1001 Wines to Drink at Least Once in a Lifetime.’ Once back at the Tasting Venue, a DeWaal Wine tasting is offered with local cheeses and other nibbles. The cost is R195.00 per person. For more information and to make your reservations, contact Helga Truter at admin@dewaal.co.za or call DeWaal Wines on 021 881 3711. The event is weather dependent. Bottled in a Bordeaux shaped bottle with an elegant simple label. In the glass the wine is an opaque deep Satsuma Plum at the core which pales out to garnet at the rim. Bold red and black berry fruit and plums. A generosity of fruit on entry, rustic berry fruits, roadside brambles and bloodplums. Good, full mid palate with soft tannins interwoven with notes of charcuterie on the long and gently waning aftertaste. This wine is worthy of a well-cooked Sunday Roast Lunch, as an accompaniment to a braai, or indeed with a midweek snack supper. 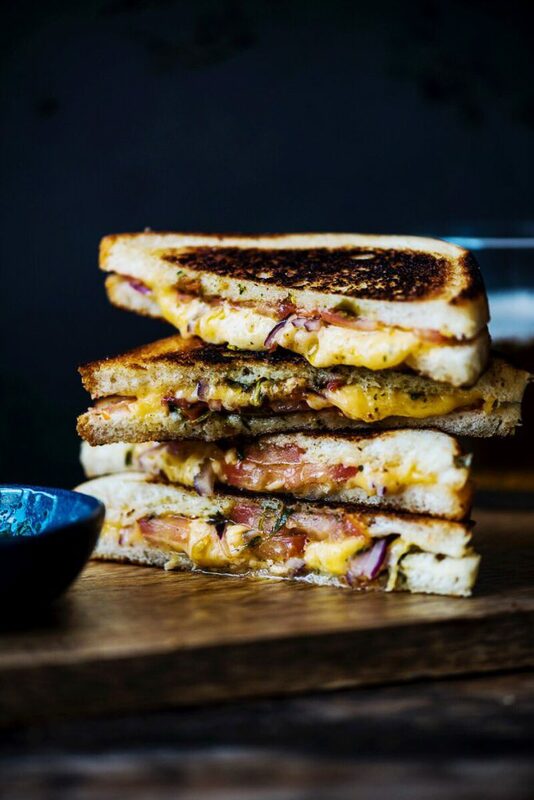 Hein van Tonder, a brilliant young food writer and photographer posted a recipe on his website recently for Mumbai Cheese Toasties. Perfect late afternoon early evening snack with a glass of good red wine. Fun dish. Click here for his recipe.